It's been a little bit since the Oscars, but I may yet see the rest of last year's best picture contenders. 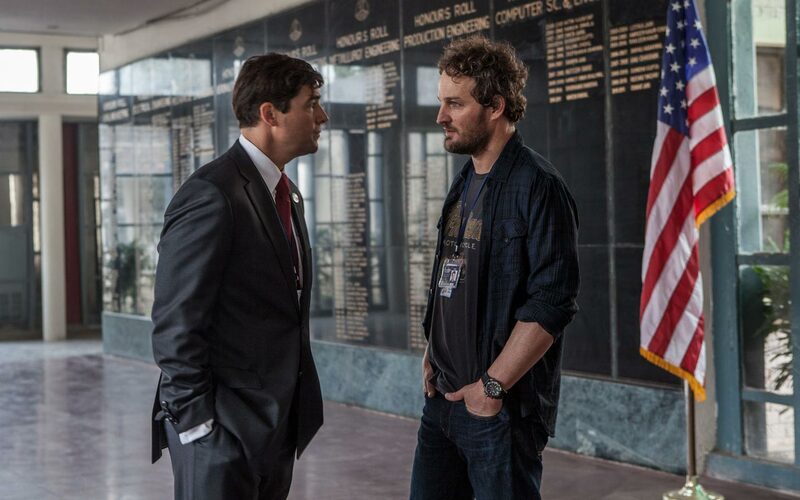 Argo won best picture and I'm okay with that (though I disagree). I'm still ecstatic about Daniel Day Lewis winning his third best actor Oscar, which was totally deserved. Jennifer Lawrence got a deserved best actress. Beasts of the Southern Wild didn't win anything and that's a crime. And I still haven't seen the picture with the most wins: Life of Pie. I'll save that rant post for another day. 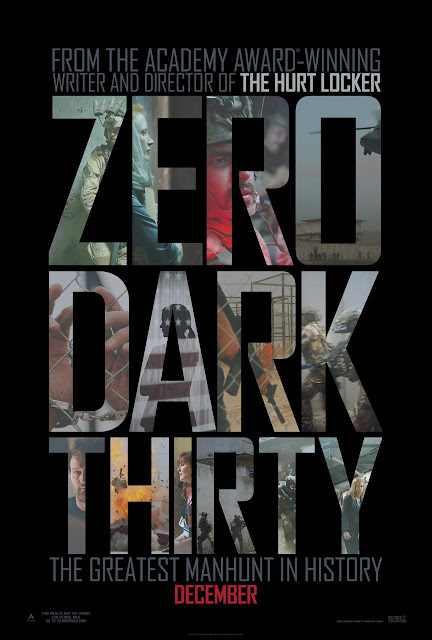 Today I'm going to look at one of the least winning best picture nominees from this year, Zero Dark Thirty. Zero Dark Thirty (2012) is Kathryn Bigelow's second film about America's current wars in the middle east. The film open on a black screen with the sounds of frantic 911 calls from September 11th, 2001. We then cut to a suspect being tortured by Dan. After the interrogation, we find that our main character, Maya, was in the room and she is clearly a bit shaken. The film goes through keeping terrorists up with loud music, treating them like a dog, putting them in a box for a night, and water boarding. Eventually, Maya gets a name, Abu Ahmed, that's corroborated by several detainees. This begins Maya's obsession with finding what she believes is the link to Osama Bin Laden. 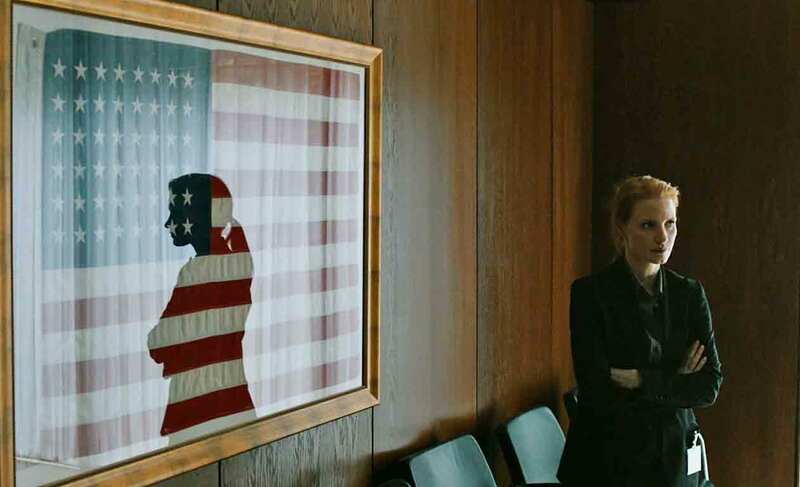 Zero Dark Thirty got one academy award, tied for sound editing with Skyall and I think that's more than it deserved. Kathryn Bigelow is a fine director, but this picture is kind of a mess. It spends way too long focused on torture at the beginning. The idea with the torture was to make audiences uncomfortable with America's shameful actions after 9/11. The problem is that it spends so long on this topic that it becomes distracting and annoying. This also caused a stir over the film supposedly validating torture, which was similarly overblown. Maya is a CIA agent recruited directly out of high school to find Osama Bin Laden following the 9/11 terrorist attacks. She starts off insecure with the cruelties she witnesses, but grows more cold and confident as she continues. She loses a friend during the investigation, which propels her obsession further. Maya's biggest issue is that she never seems like a fully fleshed out person. There's some focus on her, but she seems like a mostly two dimensional character. Dan is an older CIA agent who mentors Maya and supports her in her later endeavors. He starts off thoroughly unlikable, but softens as the torture and stress get to him. He transfers to Washington in time to help Maya authorize the fateful mission. Jessica is another older agent who acts as a friend and confidant for the young Maya. She gets her own lead into the possible whereabouts of Osama Bin Laden. The infitration team is brought in to help find Abu Ahmed in Pakistan. The film does a good job of letting the audience get to know them a bit. Despite this, we get very little beyond typical military dudes with some funny quirks. The depiction of the war and torture are the best thing about this movie. It looks amazing and the recreations of the Osama compound and surrounding city are stunning. The final act with the squad infiltrating the compound also goes on for a bit too long. 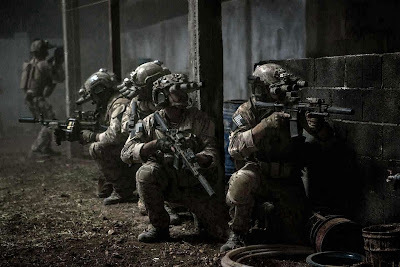 Since, at the very minimum, most American know how the movie ends, the tension is solid at the start, but wears thin as they show the whole operation. In the end we get some predictable final grasps at characterizing Maya. The second act is probably the most interesting section of the movie as Maya struggles to pin down where Abu Ahmed is and which leads are viable. This film works best as a look at the events leading up to the killing of Osama Bin Laden. Unfortunately, I'm not sure this film provides enough context for anyone unfamiliar with most of the events to follow. I don;t know if twenty years from now anyone will find this film very interesting. It's not a bad watch, but far from a great film.